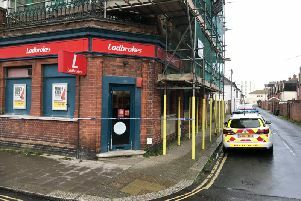 A FOREIGN student was threatened with a knife in Worthing after she tried to resist a sexual assault by a group of men. Police have urged any witnesses to come forward after the teenager was assaulted at Broadwater Green on October 2. Police released an appeal today (October 22). It happened between 11pm and midnight while the victim was with her friends. “They were approached by a group of ten men of Middle-Eastern appearance, five of whom touched the girl over her clothing,” said a Sussex Police spokesman. He asked anyone who saw what happened to email 101@sussex.pnn.police.uk or to call 101, quoting serial 376 of October 3. Alternatively contact independent charity Crimestoppers anonymously on 0800 555 111.